This aromatic Frankincense Resin has been blessed by the Dharma protector of Kechara during trance in the monastery. Imbued with the Dharma protector’s energies and presence, our blessed frankincense is highly sought after for its potent protective, purifying and healing qualities. This aromatic Frankincense Resin has been blessed by the Dharma protector of Kechara during trance in the monastery. As trances are a very rare occasion even in the monasteries, so are the items blessed by the Protector. Frankincense, also known as Boswellia, is one of the most highly valued substances since ancient times. One of the gifts that the Three Wise Men presented to the baby Jesus, frankincense is commonly used by Christians, Jews, Muslims, Hindus and Buddhists for religious rituals and ceremonies. 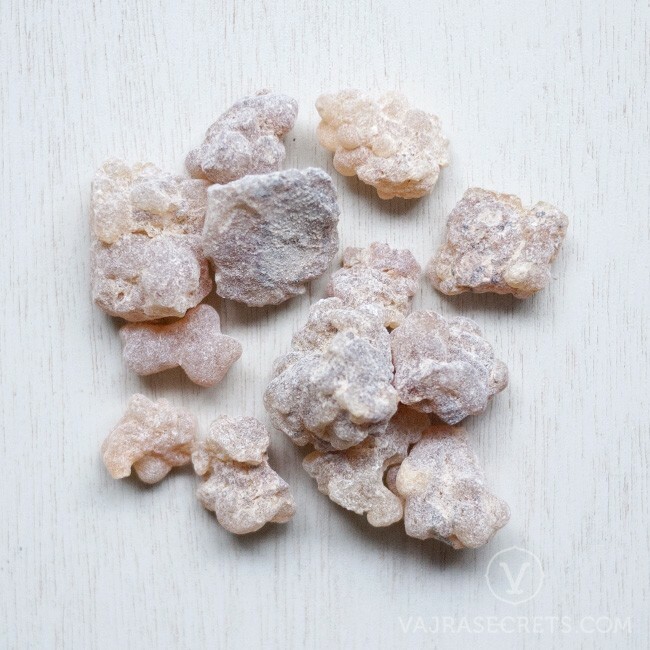 Imbued with the Dharma protector’s energies and presence, our Blessed Frankincense Resin is highly sought after for its protective, purifying and healing qualities. It can be burned to purify negative energies and invoke the Protector's presence when entering new places. When heated, the highly aromatic resin releases a sweet, deep, woody yet citrusy fragrance. The uplifting scent is said to promote awareness, serenity and relaxation, making it highly suitable for meditation, visualisation and yoga. Frankincense is also highly prized for its healing, anti-inflammatory, anti-depressant and rejuvenating properties, and has been used since ancient times in traditional Chinese and Ayurvedic medicine. I love the scent of Frankincense! I use this with my other powder incense such as Blessed Sandalwood Incense Powder and Gaden Khenpa. Also, love the fact that it is blessed and the price is really affordable for something so blessed.